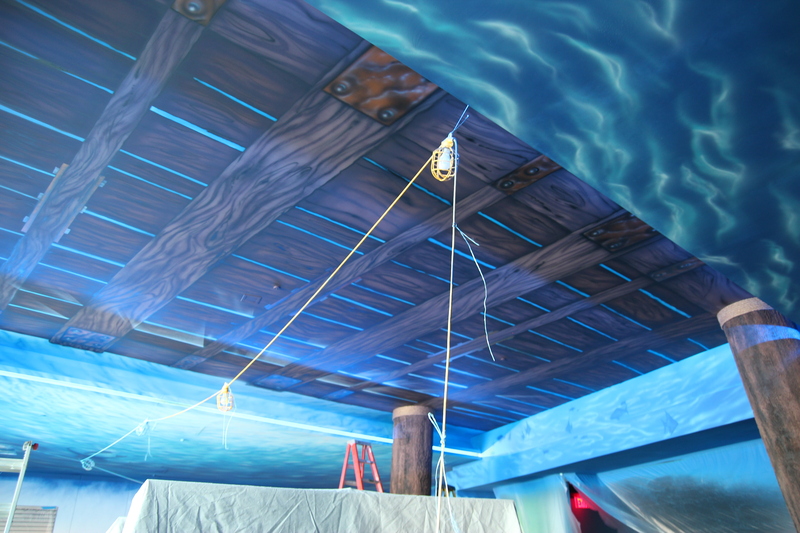 Another Amazing and Successful Project! 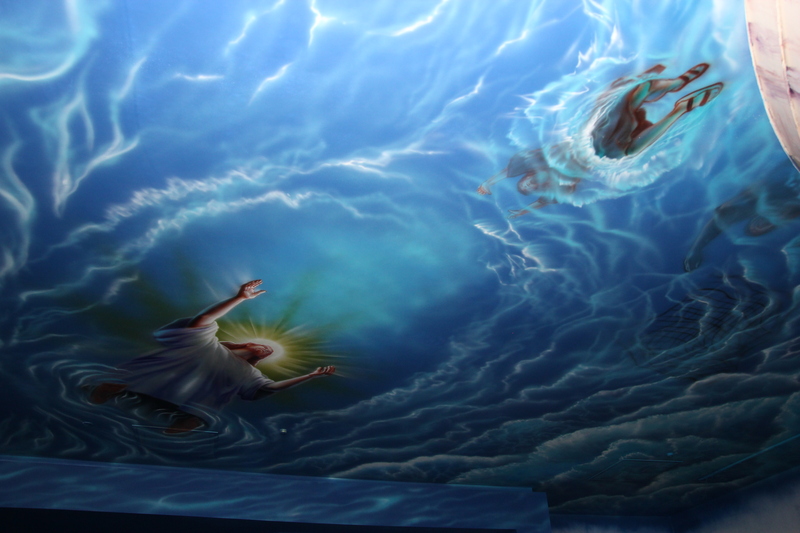 Big Thanks to the Inspiring Body of Christ Church in Dallas, TX! 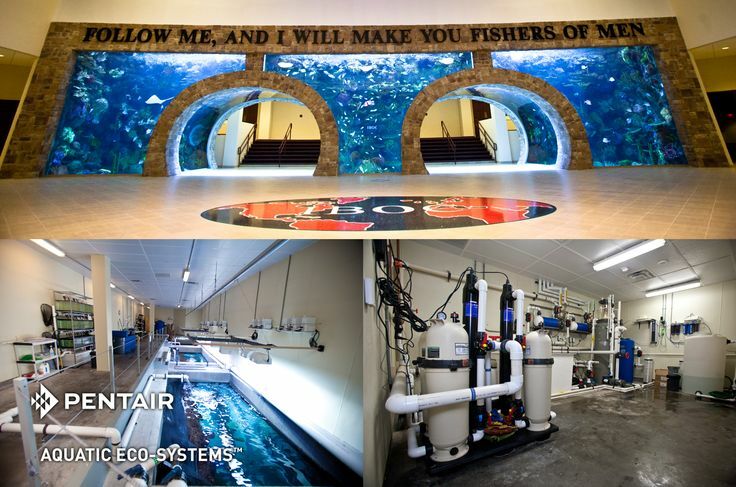 IBOC owns the largest aquarium in a church in the world and has been featured on Tanked! 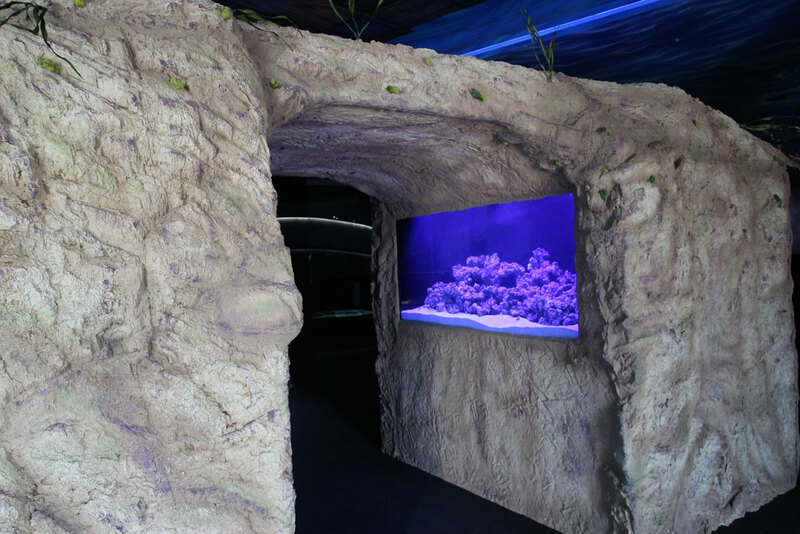 See the 75,000 gallon tank that is 70’ long, 16’ tall and 8’ deep below! 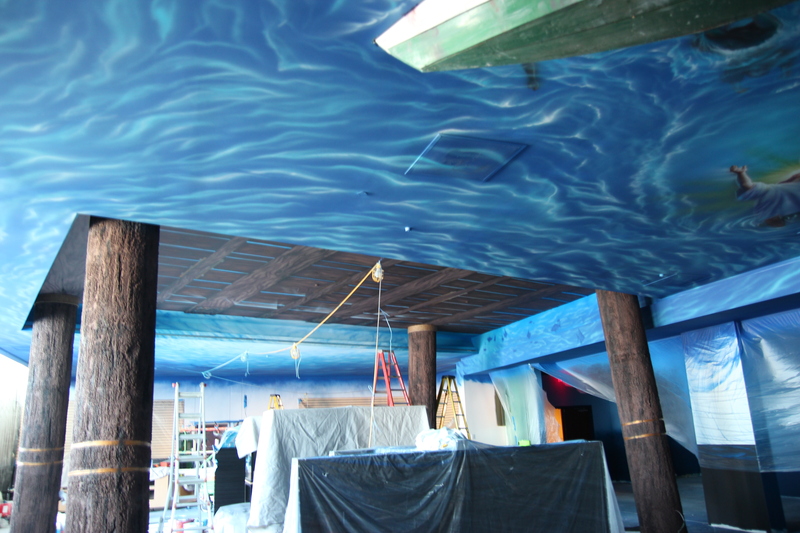 Wonder Work Studios was commissioned to create an underwater themed store (named The Deep!) 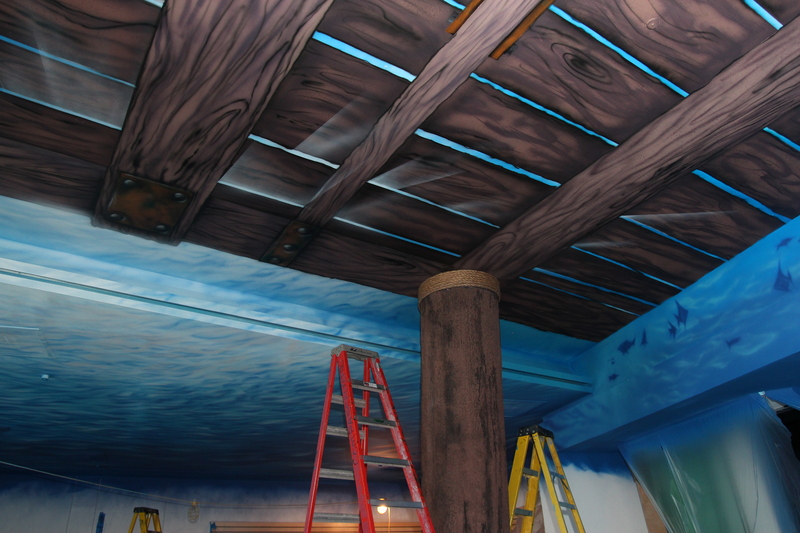 for IBOC. 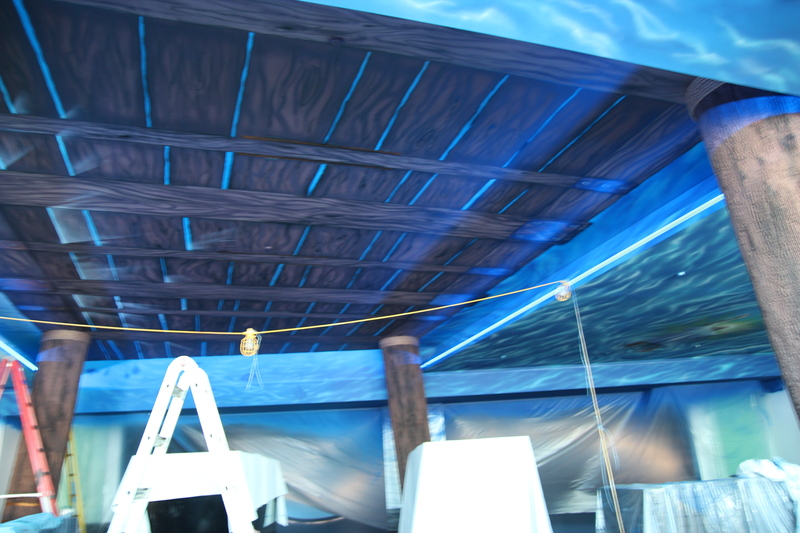 This was a completely bare room before we added everything you see below. 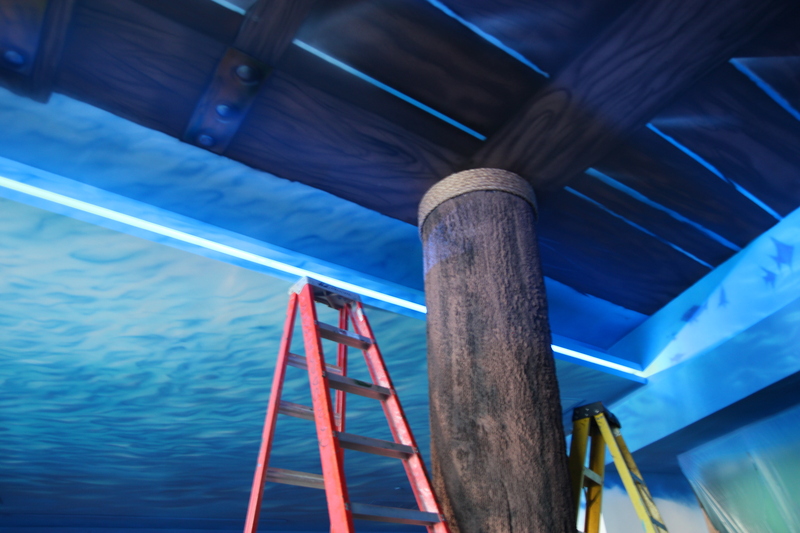 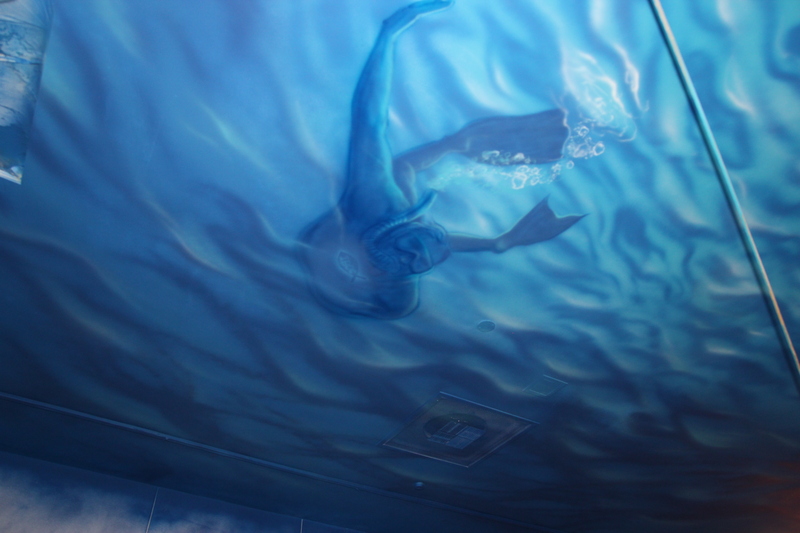 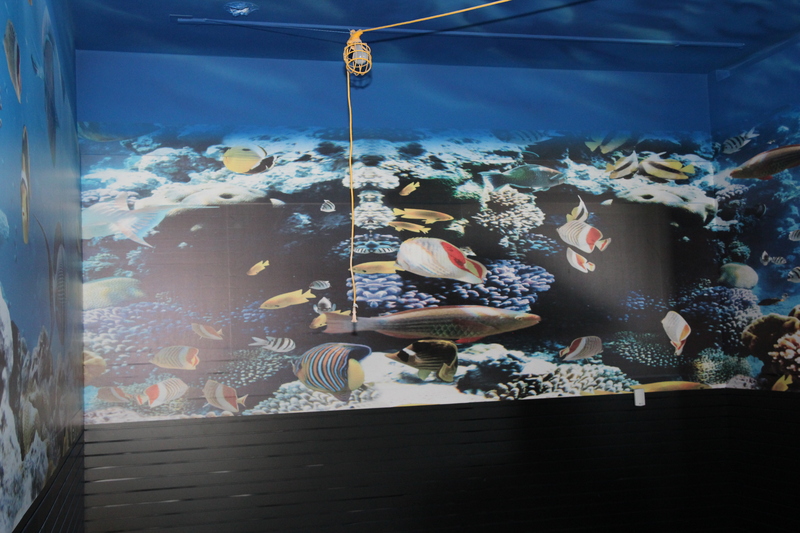 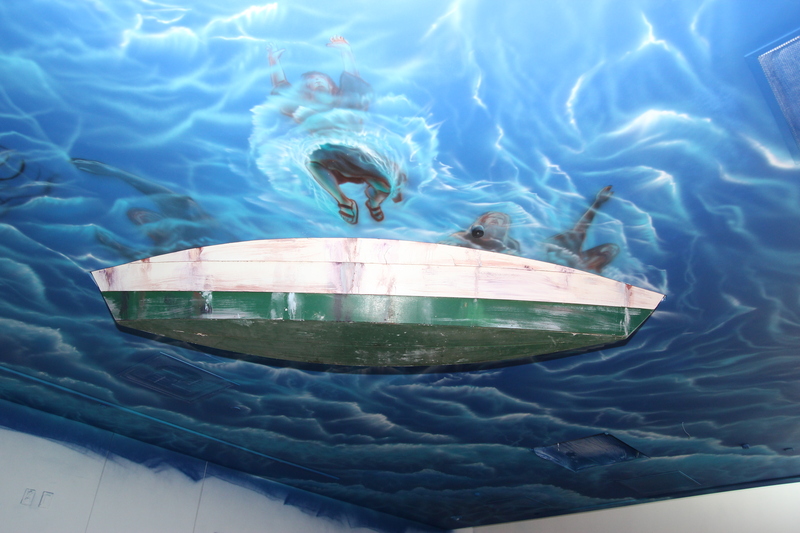 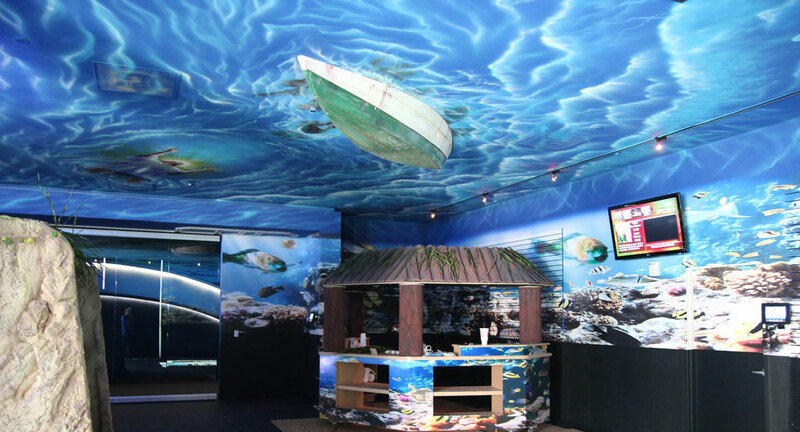 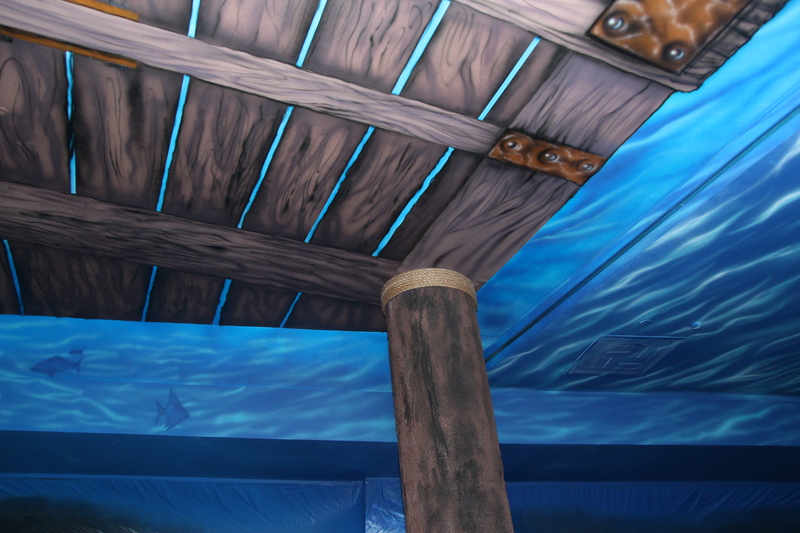 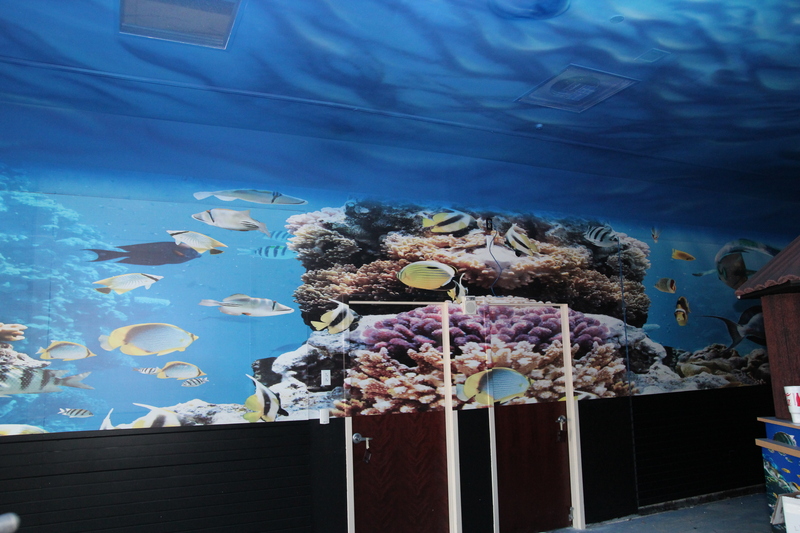 From the completely airbrushed ceiling to the (2) 350 gallon saltwater tanks, we can do it all! 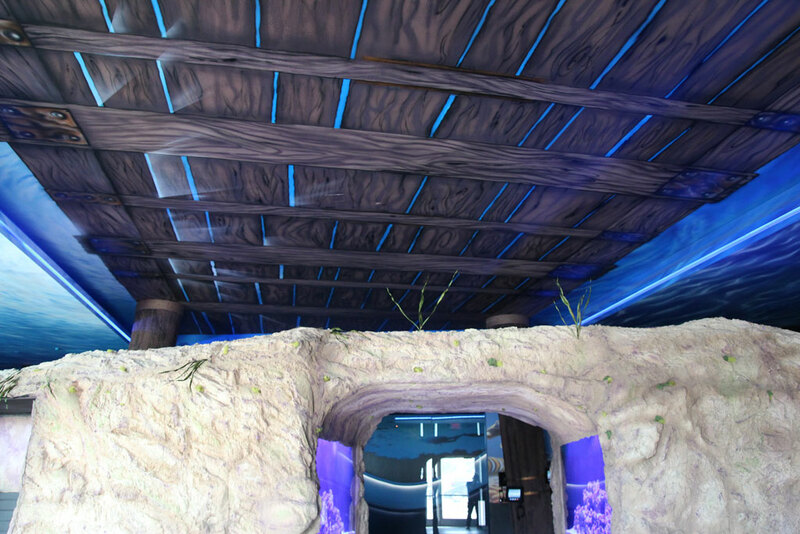 Keep scrolling to check out the project!